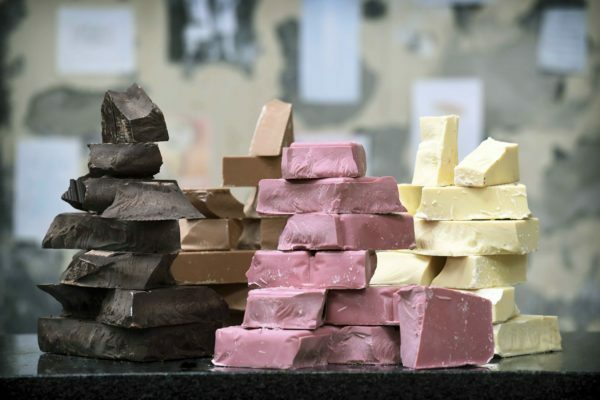 Barry Callebaut has celebrated the launch of more than 11 ruby chocolate product ranges from confectionery manufacturers at ISM in Cologne, Germany. During the four-day event, established confectionery brands including Libeert, Heilemann, Martinez, Cafe Tasse, Noi Sirius, Hug Wernli, Limar, Minor, Confetti Matrix, Witor’s, Läckerli Huus among others will launch their ruby ranges. For the global trade fair, which concludes tomorrow, chefs from around the world such as Martin Diez, Dinara Kasko, Nina Tarasova and Melissa Coppel, among others, are offering workshops and showcase signature creations in confectionery, drinks, bakery, dairy and desserts. Confectionery Production was invited to take part in product tasting session, with a number of potential ares of product development being showcased by the company, from use within cakes, through to chocolate drops. In addition to its focus on ruby, the company also demonstrated its progress with its Forever Chocolate programme, supporting farmers in cocoa growing nations around the world, including key markets in Africa. For the past 18 months, the company has worked on a pilot scheme with farmers in locations such as Indonesia in diversifying farming models to improve the sustainability of cocoa growing. As we have previously reported, the company’s most recent performance results showed that the business had shown that 44% of its cocoa is now sustainably sourced, which it aims to increase even further over the next few years.